Toni Fuqua - You are the BEST of the BEST. You exceeded my expectations... on my engagement shoot you became my stylist, hair dresser and Makeup Artist! You made every look unique and special. All of your great tips and suggestions were right on point. You are incredibly talented. I cannot thank you enough for being on this JOURNEY with me from engagement party, Bridal shower and my wedding. You created flawless looks each time. I could’ve pick or recommend a better Professional Makeup Artist. Toni did an awesome job on my makeup for an event in which I was scheduled to attend over the Veteran's Day Holiday. She did a wonderful job and she has a client in me. Thank you so much Toni. Toni was an excellent MUA. She was extremely knowledgeable and did not require any extra instruction to execute my request. She made sure I was touched up for every important moment. She did an amazing job and I would refer Toni to any bride. Preparation is key. Toni was prepared to reproduce each look I presented as well as offer up suggestions. She was professional and prompt. I look forward to having her do my wedding makeup! I love Toni Fuqua! This woman is super talented. She did my daughter's makeup for prom, I swear I didn't recognize her when she was done. She transformed a JROTC plain-Jane student into a glamorous TV/Movie star. I have never seen my daughter look more beautiful than she did that night. Thank you Toni, we will be using your services again. Toni is an amazing MUA. She is very knowledgeable and makes great recommendations. She was my MUA for my engagement photo and video shoots. She also did my make-up for my bridal shower, and wedding all in which I received compliments on how natural and beautiful my makeup was. I plan to use Toni for her services whenever I want to look amazing. On my wedding day, she went above and beyond her call of duty (MUA). I love Toni and would recommend her to anyone in need of an MUA. Thank you again for making my day very special with you pleasant personality and second to none makeup artistry work. I loved my look! I absolutely love my makeup and the overall experience was very professional! I definitely will be a repeat customer! Thank you for making me beautiful. I could not have been happier with everything Toni did for me as my makeup artist for my wedding! Toni's experience, passion, and compassion for her clients was constantly apparent- from the perfect balance of hearing my wants and making helpful suggestions (like having my consultation the day of my bridal shower! ), to keeping me calm on the big day and even giving me my gift: a makeup bag that I used as my purse (since I forgot mine and she'd cleverly matched the bag with my wedding colors!). Toni's makeup speaks for itself! I loved it and I received compliments all night. Having Toni as my MUA was truly a blessing! Thank you Toni! Toni did an awesome job! Everything was evenly applied and blended. She gave me natural with a kick! Toni is one of a kind. She pays attention to detail and is knowledgeable of the products that she uses on your face. Her work is fantastic is and her work is high quality. She takes her time and ensures that your face is very presentable. 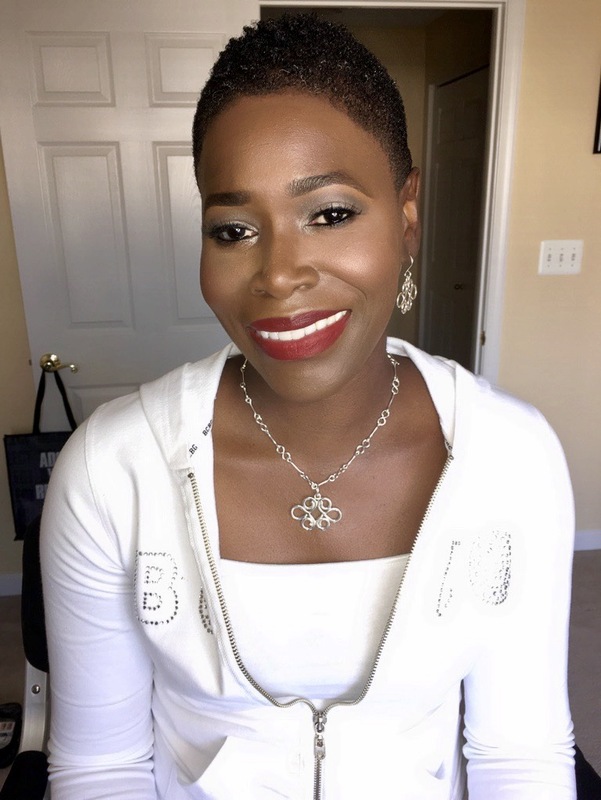 I would recommend Toni Fuqua Makeup Artistry anytime.